The discomforts of indigestion are so common in today's society that indigestion is almost considered normal. The fact that over 2 billion dollars are spent each year on antacids is proof of this. Rather than using drugs to suppress symptoms, wouldn't it be wiser to remove the causes of indigestion? 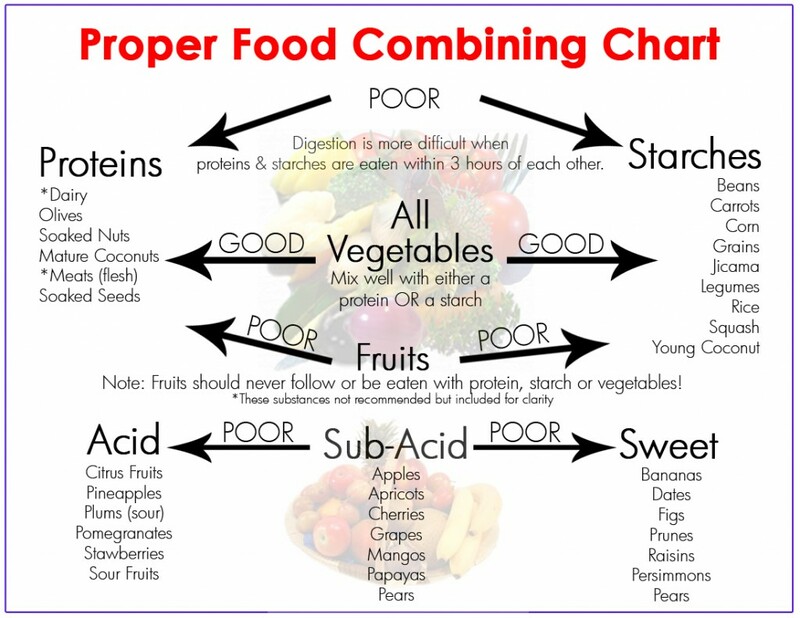 Food combining is based on the theory that different food groups require different digestion times. Digestion is helped the most by using foods which have roughly the same digestion time.